Obturators are removable prostheses that are fabricated to close holes in the roof of peoples mouths who have a congenital cleft defect or an acquired defect. 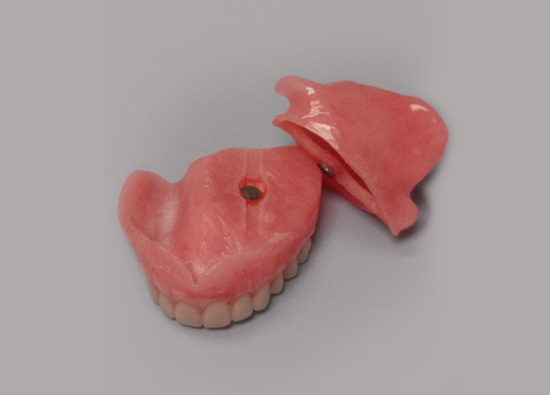 Acquired defects can come from surgery for oral cancer or from trauma, such as a gunshot wound. Without the Obturator the individual can not speak well, they sound hollow, a condition called Hypernasality, and they can not swallow, as the food and liquids comes out their nose. This is called nasal regurgitation. With the Obturator in place the person can speak and swallow near normal. 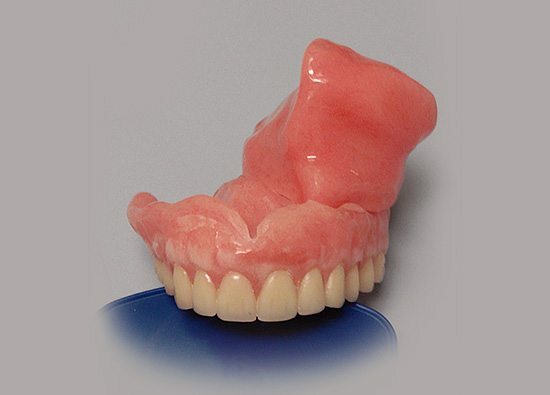 A Surgical Obturator is requested by Surgeons to assist them at the time of surgery to close any defects that might be present until the Maxillofacial Prosthodontist can see the patient and begin fabrication of a Definitive Obturator. Surgical prostheses can also be used to guide surgeons in bone grafting, implant placement and jaw repositioning surgeries. Click here to read our maxillary obturator testimonial.